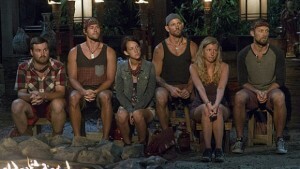 Tribal Council Shocker on Survivor Blood Vs Water Ep04! Christiana and Mike discuss episode 04 of Survivor Blood Vs Water! This entry was posted on Tuesday, October 15th, 2013 at 8:07 pm by Christiana and is filed under Non-Fiction, podcasts, Talking About Survivor. You can follow any responses to this entry through the RSS 2.0 feed. You can leave a response, or trackback from your own site. @christianaellis I only got 47 minutes is that right or did the file get cut short?